When technology is embedded in our genes, can we think of a future generation with half bio-bits and half nuts and bolts? The day might not be far when science will take a mold to match the “stranger than the fiction” standard and innovation is the primary key to hit any such consequence. Scientists from the ETH Zurich have developed bio-machines that fabricate selective medical therapies using a non-invasive technique. The effort makes use of genetically modified cells under the control of brain waves and microbots infused with SWARM intelligence to facilitate accurate drug dose on its precise location. Needless to say, education follows a tapering shape of belief where in the start science is a cumulative approach to everything and again at the highest level every single field converges to make something productive. The on-spot mechanism basically highlights the side-effect of the medicines and aims to work in the target location with preloaded drugs or perform a non-invasive operation if required. 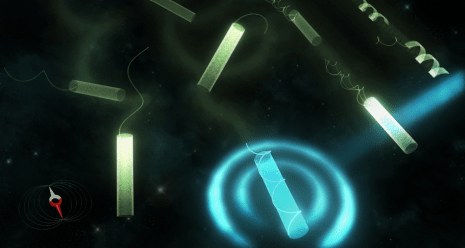 Bradley Nelson, Professor of Robotics and Intelligent Systems at ETH Zurich have developed a nature inspired microscale mechanical propulsion systems that works best to monitor – for example, flagellum in bacteria. The small scale bots harness their energy from an external electromagnetic impulse and a real-time prototype was successfully develop to support the theory. In an in vivo experiment 80,000, SWARM microrobots were injected inside a mouse to guide the drug onto a specific target. Although the research has seen the face of success, it is ongoing and requires deep intel before being applied to humans. Some questions on the material of the robots have arisen, as in the era of 3D printing small-scale development are pertinent. What will happen to the material of robots after work is done? Will they self-destruct? In a bid to answer such obvious queries, Nelson’s group has collaboratively developed biocompatible biopolymer made agents with Professor Christofer Hierold’s team which happens to dissolve after doing its predefined work. Progressing one step further, he has now optimally involved shape-shifting property, giving it a name “Origami robots”. Inspired by Trypanosoma brucei bacterium - responsible for sleeping sickness (has an elongated body structure that helps to move effortlessly in the body fluids) the group has come up with a design which can adapt to the pH of body fluids, a temperature difference or a light pulse – rather change according to it. The plasticity of the material boasts of multilayer hydrogel built structure which can sync according to the external stimuli. However the sleeping sickness bacteria has another property which suggests that the moment they enter the bloodstream the self-propelling mechanism turns inactive and turns to a dense-packed shape which would further help the team to nurture a scope. Professor Nelson has exclaimed on their growth on controlling intelligent robot mechanism and established a balanced project approach which will reciprocate in the future. The project has been supported by Multi Scale Robotics Lab.